This is for those locally employed in the Philippines. Were you required to report to work this Black Saturday (April 23, 2011)? It was declared by Pres. Benigno Aquino III to be a special non-working day. Here's how you should be paid for that specific day. You are entitled to 130% of your daily rate for the first 8 hours and to an additional 30% of your hourly rate on the said for overtime work rendered. If Black Saturday falls on your rest day, you are entitled to 150% of your regular daily rate for the first 8 hours plus 30% of your hourly rate on the said for overtime work. 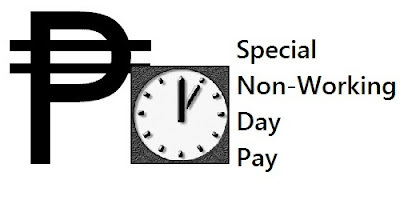 If you did not report to work on this day, you are not entitled to any payment unless it is company policy to do so or part of the collective bargaining agreement between the company and its employees states that payments should still be issued for special non-working days even if not worked. From the Department of Labor & Employment (DOLE) advisory.